Two weeks ago, we went on our annual family weekend trip to the region of Entlebuch, Switzerland. The first objective of this trip is of course to celebrate my mother-in-law’s birthday and the second objective is always to “hunt” for porcinis or Steinpilze as they call them in German. I use the term “hunt” because this is not an easy task and the weather conditions of the past summer and the current autumn have a huge impact on whether or not you will find these forest gems. Now, I am by no means a mushroom expert, but my husband and his 3 brothers have been hunting mushrooms for years. With that said, I would strongly encourage those who are interested in finding their own to go with someone well knowledgeable in mushrooms. What I can tell you is that these lovely porcinis or Boltes edulis typically grow in forests above 800 meters above sea level and they love to live in damp soil underneath pine trees. 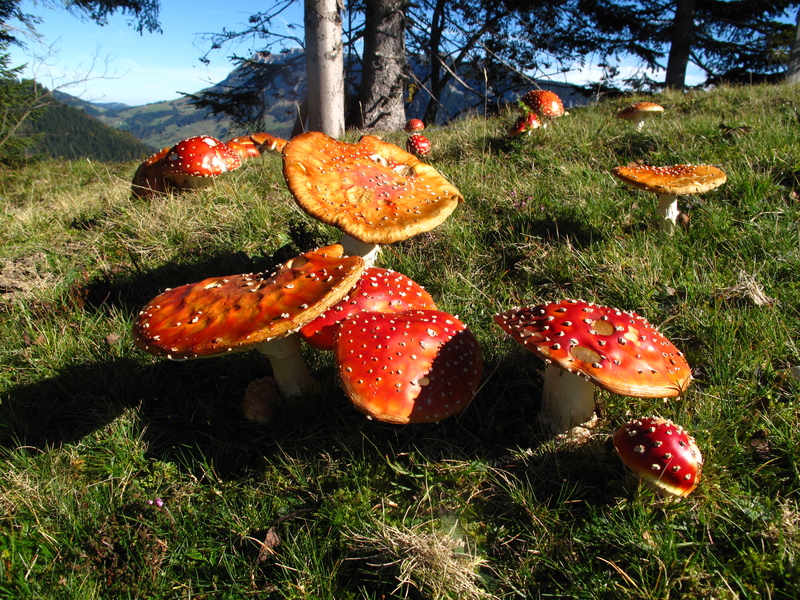 And if you spot those fairy tale looking mushrooms that are bright red with white spots, Fly Agaric or Amanita muscaria, keep your eyes open because porcinis grow in the same environment. 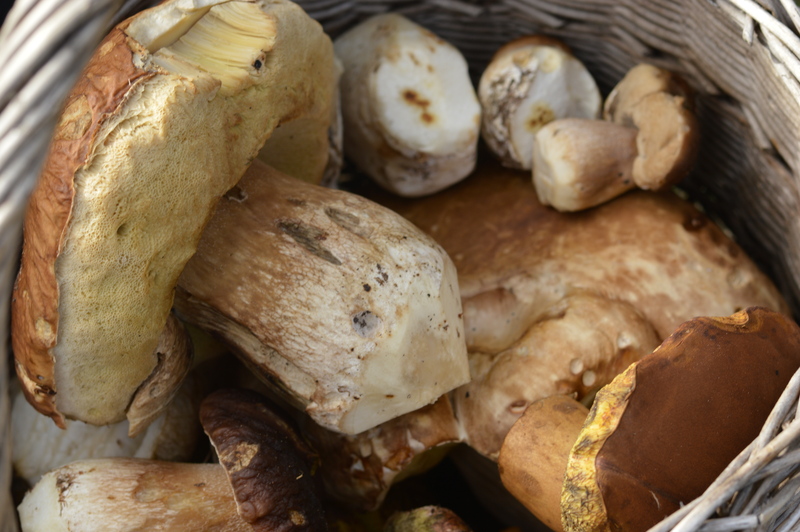 But remember, those red mushrooms are extremely poisonous!